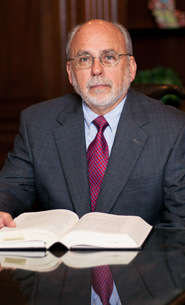 Licensed in Georgia, Hal is also admitted to the US District Court and the United States Supreme Court. Hal was born in Shennandoah, Iowa. He moved to France at age 10 when his father accepted a position with the Department of Defense Schools. Hal graduated from Frankfurt American High School in Germany, then returned to the United States and attended Ohio State University. Afterwards, Hal transferred to Georgia State College where he obtained his BBA in 1969. After graduation Hal served in the United States Army as an Infantry Officer, serving a tour of duty in Vietnam from 1970 through 1971. He later accepted a commission in the U.S. Air Force Reserve and served as Wing Intelligence Officer for the 94th Tactical Airlift Wing at Dobbin AFB. Hal primarily represents victims who have suffered personal injuries as a result of the negligence of others in automobile collisions, but also handles civil cases involving premises liability, medical malpractice, products liability and domestic matters. In addition to his duties as a lawyer, Hal is also a registered neutral with The Georgia Office of Dispute Resolution and regularly serves as a private mediator. He is also a member of the Cobb County Superior Court Alternative Dispute Resolution program. Hal and his wife enjoy traveling. Hal has raced in the Hooters Formula Cup Series and is currently racing a Mazda with the Sports Car Club of America. Hal is a member of the Academy of Model Aeronautics and Georgia Model Aviators where he flies his collection of remote controlled airplanes. 1995-2013: Partner, Smith Ronick & Corbin, L.L.C. 1982-1995: Harold K. Corbin, P.C.